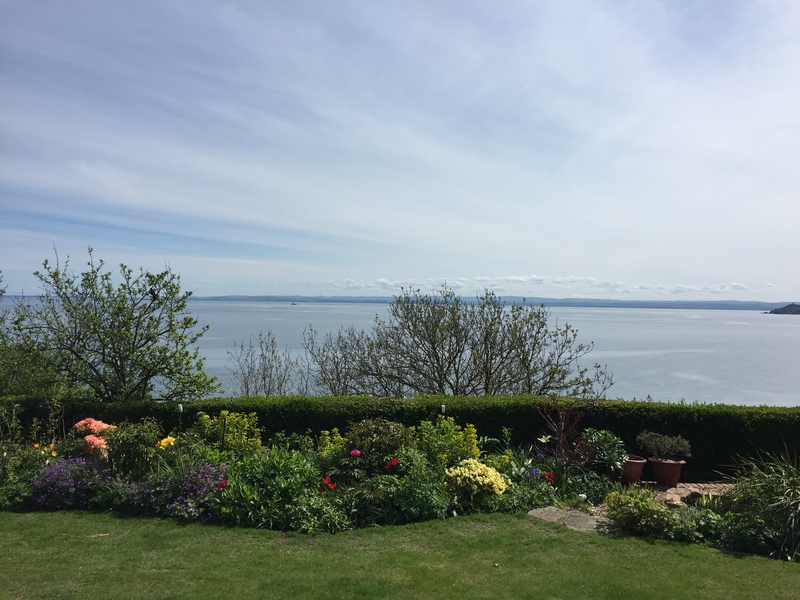 This year, the annual SSBA garden party was hosted by Anne Carlaw, in beautiful Kinghorn. A great day was had by all, the sun shone, the birds sang and all present had an idyllic afternoon. Mary wore her best ‘Garden Party’ hat and was the belle of the ball. Kinghorn lifeboat which had been in attendance at a fundraising event in Aberdour made an appearance in the bay and executed doughnuts for us in the sea. Everyone was waving excitedly at them and Sam , one of the crew, told me later they were delighted with our response. 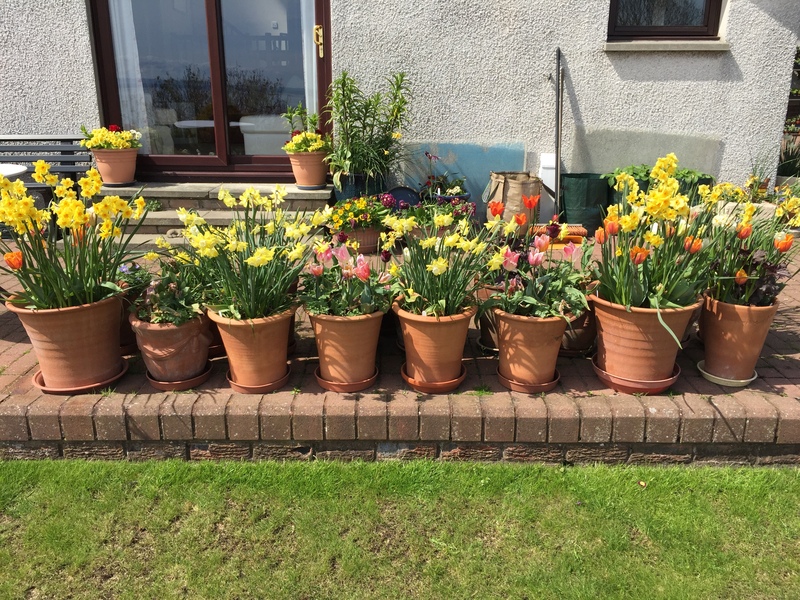 We had a plant sale in aid of the RNLI and thanks to your generosity the SSBA are able to donate £300.00 to this worthy cause. Our grateful thanks to all involved for making it such a memorable day. 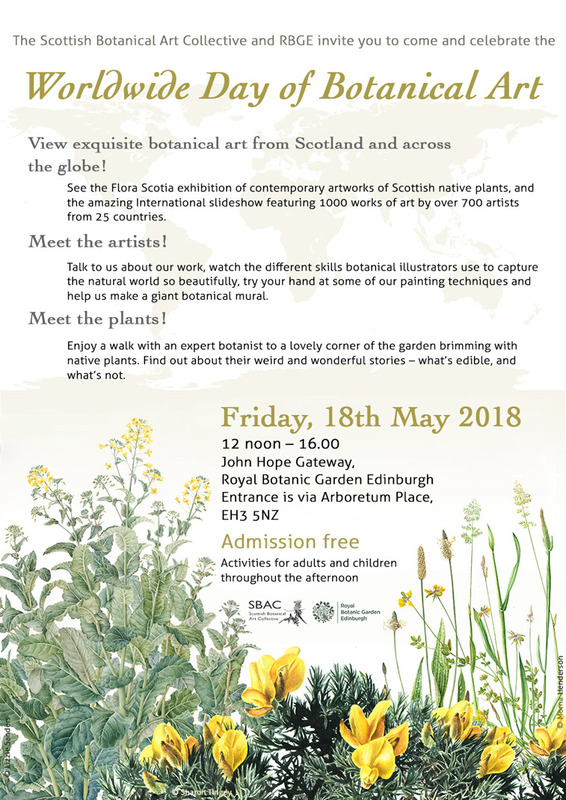 Several of our members and committee have been working hard towards the success of Flora Scotia, part of the Botanical Art Worldwide project and exhibition, and for the upcoming Worldwide Day of Botanical Art event, Friday 18 May, at the John Hope Gateway in the Royal Botanic Gardens Edinburgh. We hope to see you there, enjoying the demonstrations, libations and celebrations. The event starts at noon with the opening ceremony, and it will be non-stop until 4 p.m.
Meet the Plants – Guided walks around the garden with RBGE botanist Greg Kenicer, at 12.30, 13.30, 14.30 and 15.30. Many thanks to members Sarah Roberts, Anne Dana, Jacqui Pestell, Nicola Macartney, Jenny Haslemeier, Marianne Hazlewood, Lyn Campbell, Linda Russell, Eleanor Christopher, Julie Price, Jocelyn Anne Rabbitts, Bill Philips, Kathy Munro (Secretary), and Hazel Morris (Director), and all the members of the Scottish Botanical Arts Collective for their efforts towards making this exhibition and day a success. Last but certainly not least, a huge thank you to all artists who submitted work. If you’re interested in learning more, join us at the one-day acrylics workshop in October, led by renowned artist Margaret Walty. Only twelve places available, and seven are already booked, so don’t delay. A series of free events and talks to be held in the Professor’s Room, Botanic Cottage, Royal Botanic Garden Edinburgh. Places must be reserved (see below). Thursday 17 May 5-7.30 pm. 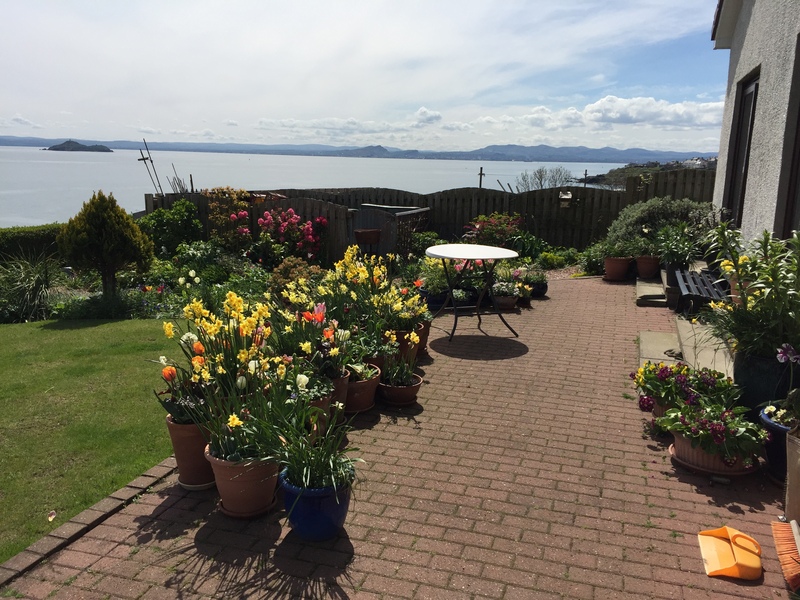 Bring your own picnic to enjoy in the garden beside the Cottage. Thursday 20th September 2-4 pm. Thursday 8th November 2-4 pm. Thursday 6th December 5-7.30 pm. Catering provided. We thought our members might be interested in this new competition, although the deadlines are rather close! 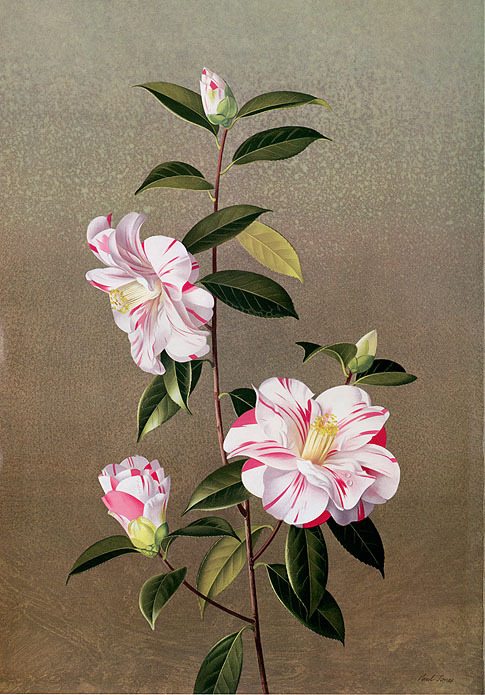 Jackson’s (the art supply website) are celebrating Botanical Artists by running a free, international, digital competition: ‘Plant Life: Botanical Illustration’. 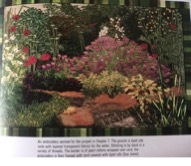 They are offering the 3 winners watercolour prizes worth a total of £300 RRP, donated by Winsor & Newton, along with promotion across their 9 social media channels and blog which has a readership of over 50,000 people a month. The SSBA’s Second Annual Exhibition – ‘The Colours of Nature’ opens at the Stirling Smith Gallery and Museum, Dumbarton Road, Stirling FK8 2RQ, on Saturday 3rd September till Sunday 22nd October. 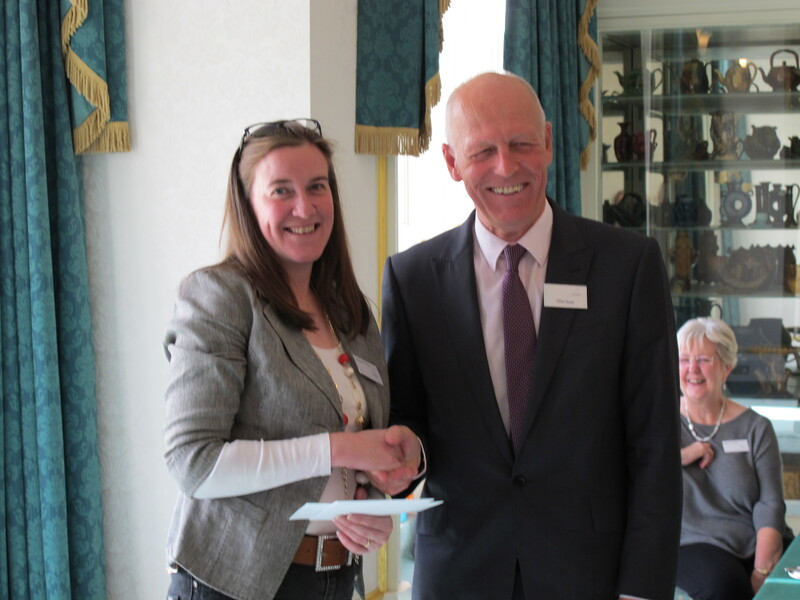 Once again this year, a prize of £50 will be awarded at the Preview to the winner of the picture deemed ‘Best in Show’ by a panel of three expert judges. In addition, the visiting public will also be able to vote for their favourite picture for the People’s Choice Award. Visitors can vote for their favourite picture from the Preview opening on Saturday 2nd September, till Saturday 7th October, when the winner will be announced at the SSBA’s ‘Afternoon Tea Event’, and the prize awarded. We are very grateful to Barrie Scott and Co. (Chartered Accountants) of Falkirk for sponsoring this extremely popular award. We also hope to be able to have a special ‘Autumn Leaves’ event for children on Saturday 21st October, when children can come along to the Gallery and Museum, learn how leaves change colour from green to the wonderful autumn hues, and have the opportunity to draw and colour them in, showing these amazing colours. Information about this class will be available nearer the date, through the Gallery. 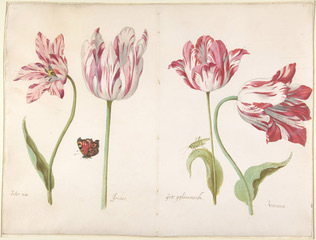 Botanical art ranges from very specific botanical illustration – with tightly defined style and approach, through to artistic representation of fungi, flowers, seaweeds and all things botanical. 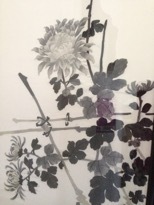 Botanical artwork using embroidery/ needle painting is one of many approaches welcomed by the SSBA. 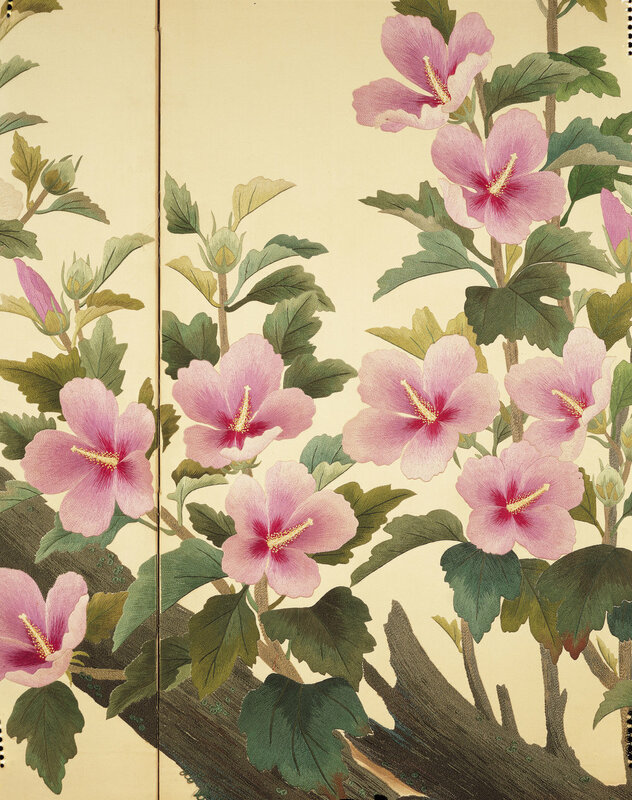 Differing styles abound from the very formal and traditional Chinese embroideries through to representations of gardens. It would be marvellous to have examples of a wide range of media and styles in our exhibitions. 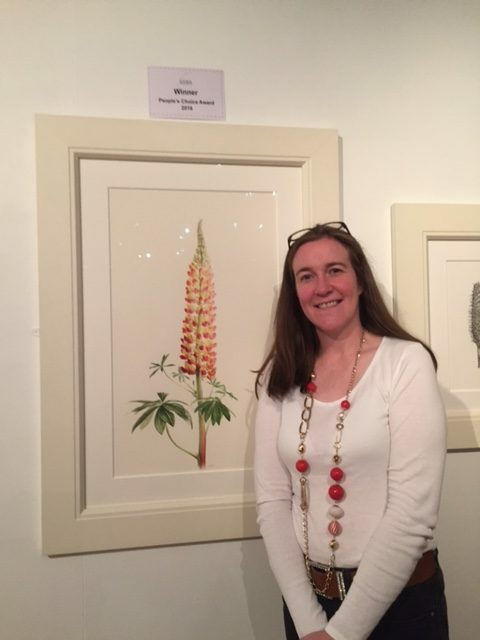 Please encourage your friends, relatives and colleagues who do any forms of botanical art to join us in The Scottish Society of Botanical Art and help it achieve its aims. The SSBA newsletter offers the opportunity for you to inform a wide audience about relevant exhibitions and events.